Wear your pajamas and bring your flashlight. 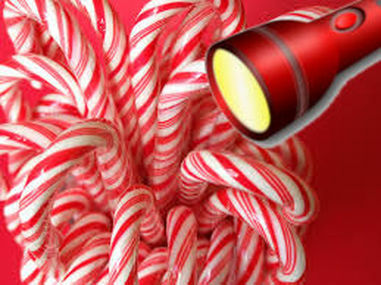 The Elves did hide thousands of candy canes ​in Santa's yard ready for you to find. At the end of the hunt you will get to enjoy a cookie and a drink (included in price). Santa will not be present during this event. To make sure the event is pleasant and safe, we are controlling the number of participants. Therefore we have only a limited amount of tickets available. Children 18 month and up and adults need to buy a ticket. This is an outside event and will be cancelled if there's bad weather. Everybody will receive a full refund if the event gets cancelled. Notification of cancellation will be posted no later than 10:00 AM the day of the event.